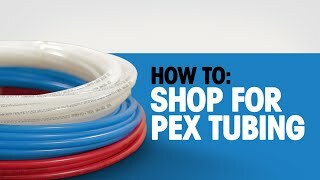 What is the difference between the different brands of PEX tubing? 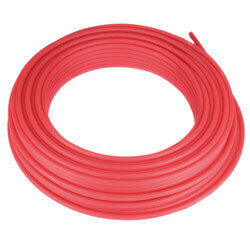 There are now over twenty different brands of PEX tubing for plumbing available in the US today. 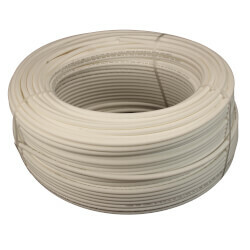 The main distinguishing characteristic that separates one brand of PEX from another is whether it is PEX-a, PEX-b, or PEX-c. PEX-a is the highest quality tubing available on the market today. 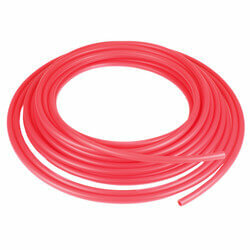 PEX-a is the most freeze- and kink-resistant, and it is also the most flexible. 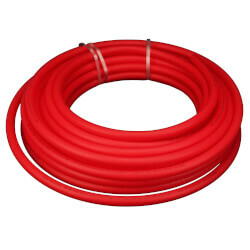 AquaPEX tubing is the only PEX-a tubing available for plumbing systems, and is the only tubing that can be used with the ProPEX expander system. 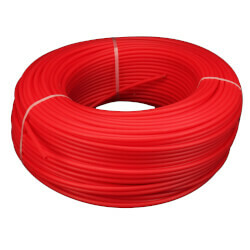 The other major manufacturers such as Watts, Viega, and HydroPEX are PEX-b products. 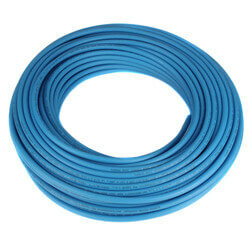 These are still good products and will work well for plumbing applications. 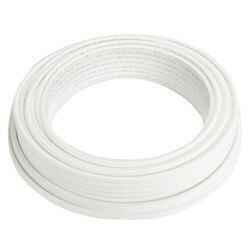 All of the PEX tubing products sold on SupplyHouse.com have at least a 20 year warranty. 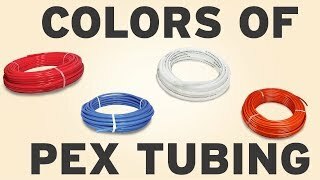 Why does PEX come in different colors? 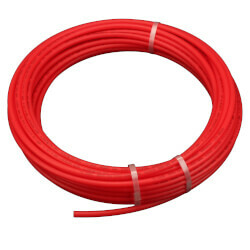 The different colors of PEX are used to signify hot and cold lines in a plumbing system. 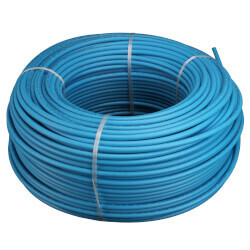 Red is generally used for hot lines, and blue is used for cold lines. 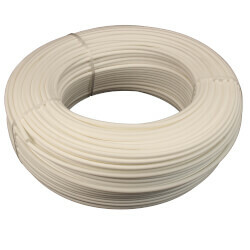 White PEX tubing is used as well for either hot or cold lines. 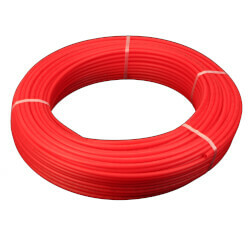 The only difference between the tubing is the color; otherwise it is exactly the same in terms of material, quality, and price. What size PEX tubing should I run to my faucets and fixtures? 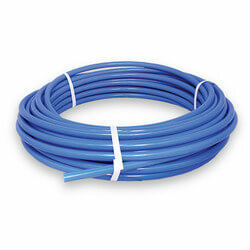 1/2" PEX is the most common size tubing used to run to faucets and fixtures. 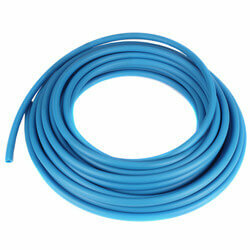 1/2" PEX has a greater flow rate than 1/2" copper, which has been traditionally used to run to faucets and fixtures. 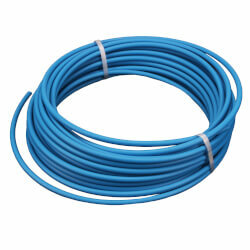 Therefore, 3/8" tubing may also be used to achieve a similar flow rate for replacing 1/2" copper. 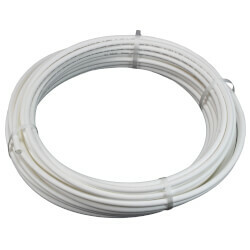 For products that require a large flow rate, larger tubing may be required. 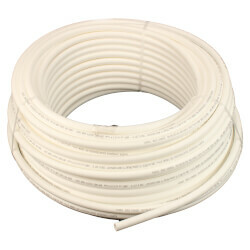 How do you connect PEX to a faucet or toilet connection? The main fitting systems such as crimp and expander offer special fittings to connect directly to your faucets and toilets. The faucet connector goes directly from PEX to a 1/2" faucet connection. The toilet connector connects 1/2" PEX to a 7/8" toilet connection. What brands of tubing can be used with which fitting systems? As the chart available in this help section illustrates, all types of tubing may be used with the crimp, clamp, press, or compression fitting systems. However, only AquaPEX can be used with the Wirsbo Expander System. 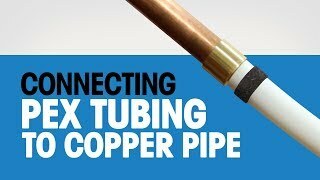 PEX (cross-linked polyethylene) tubing is an alternative to traditional copper pipe in plumbing applications. 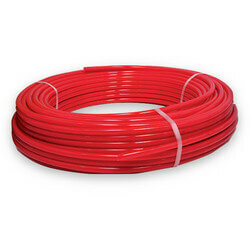 PEX tubing is available in three standard colors: red, blue, and white. 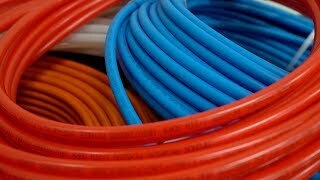 PEX is color coded to distinguish hot and cold lines from a supply line when looking at a manifold. 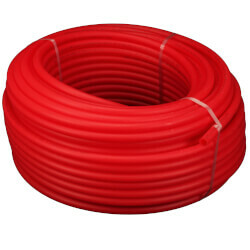 Red PEX tubing identifies the hot water line, while blue PEX tubing is used for cold water. 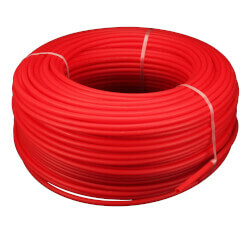 Red and blue PEX have identical physical properties except the color that differentiates them. 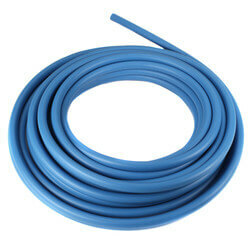 The most common size used in PEX plumbing applications is 1/2", however sizes are available from 1/4" to 3". 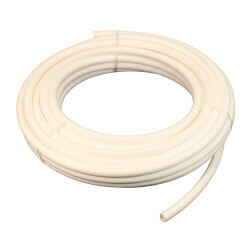 PEX tubing for plumbing applications does not require the oxygen barrier commonly found in PEX used in heating applications. Since there is a constant supply of fresh water from a water main, oxygen molecules will always be present in the system. Therefore, there is no need for the oxygen barrier. 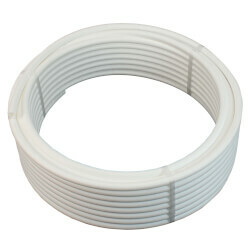 Pre-Insulated AquaPEX Tubing can be used in either residential or commercial plumbing applications. 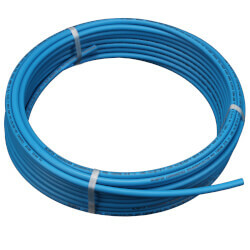 1/2" PEX-foam insulation provides a flexible, durable, corrosion-resistant option for insulating potable-water lines. 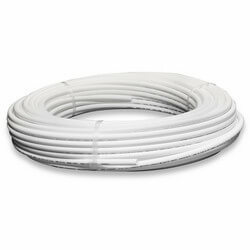 We offer several types of non-barrier PEX including Rifeng, Uponor (Wirsbo) AquaPEX, and ViegaPEX.